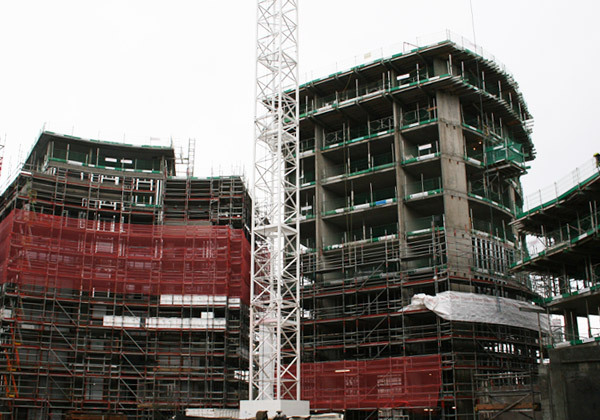 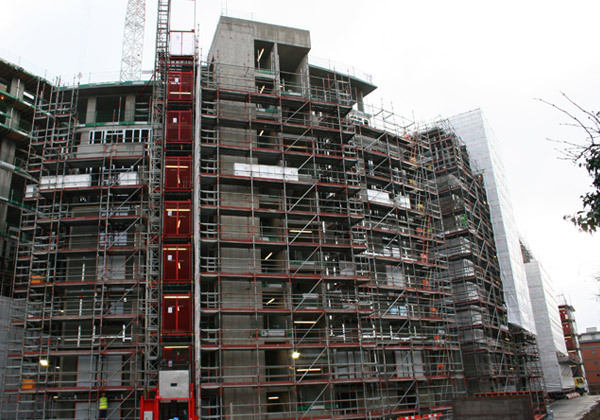 TRAD had worked with St James on previous projects, like Grosvenor Waterside and Silvermill Lewisham, so were subsequently asked to provide the scaffolding at one of their latest prestigious development in Kew. 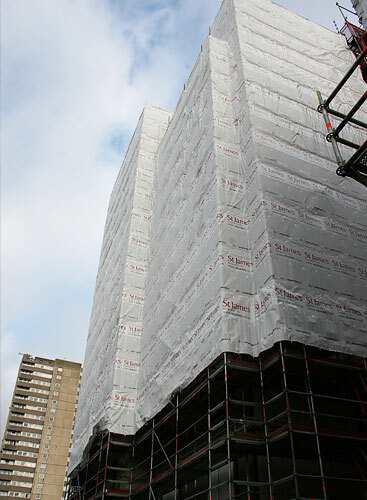 The project consists of seven large apartment blocks containing 1, 2, 3 bedroom flats and penthouses which are built in a crescent shape. 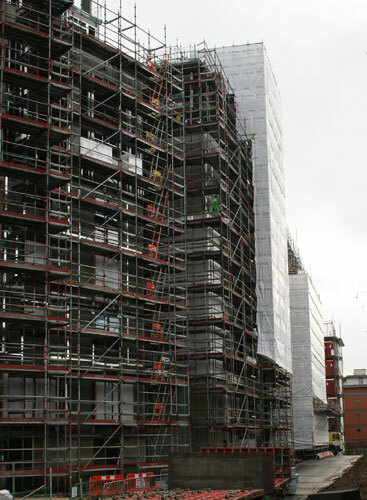 Chris Byrne and his team at TRAD erected over 18,500 square metres of system scaffolding during this project, The complicated curve and step design, along with the short time scale, made this project a real challenge. 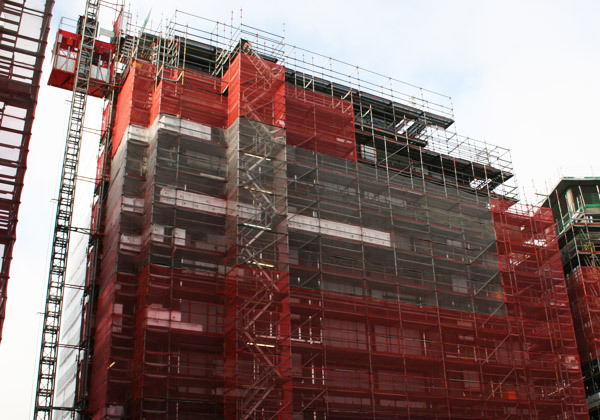 The system scaffold we used enabled an extremely flush and neat finish to the client logo sheeting and provided a brace free unobstructed working platform for the following trades.